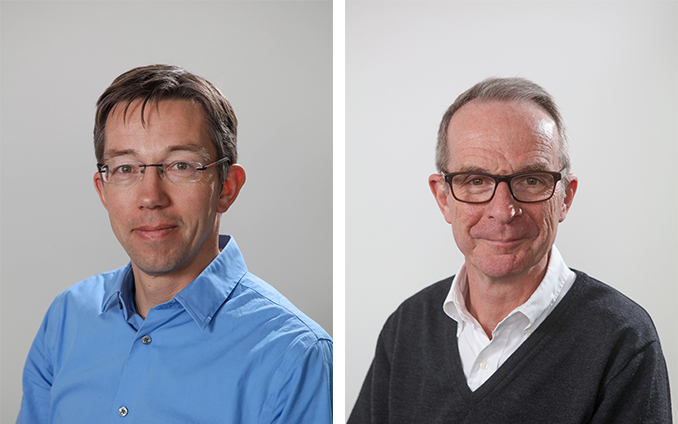 UCL Energy Institute is pleased to announce Professor Neil Strachan and Professor Paul Ruyssevelt have taken Directorship of the Institute. We would like to thank Professor Bob Lowe for his years leading the Institute. Since becoming Director in 2014, Bob has overseen the Institute's growth whilst maintaining continued excellence in teaching and research. His intellectual breadth and personal integrity is woven into the DNA of UCL-Energy. Now an incumbent institution, UCL-Energy continues to be a leader on the world stage of energy and climate research. Professor Neil Strachan will now lead as Director. Neil is Professor of Energy Economics and Modelling at the Institute and has been Deputy Director since 2014. Over the last ten years Neil has been principal (PI) or co-investigator on research projects worth over £15 million. This includes being PI of the Whole Systems Energy Modelling Consortium (wholeSEM) – the UK's ground breaking multi-institution initiative to develop, integrate and apply state-of-the-art energy models. He is also on the board of the Energy Systems Catapult. Professor Paul Ruyssevelt has taken up the role of Deputy Director. Paul is Professor of Energy and Building Performance at the UCL Energy Institute where he takes the lead on research in the field of energy use in non-domestic buildings. An architect with 30 years' experience in the field of low energy and sustainable buildings he has worked in both academia and industry. He is PI on the four-year iNUMBER project to provide the tools and analysis required to develop high quality low carbon cities in India, he represents the UK on the IEA Energy in Buildings and Communities programme and he plays a leading role in Annex 70 which is developing Building Energy Epidemiology in an international context.